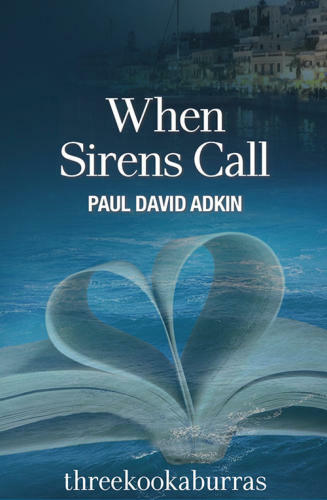 Sirens is a tragic love story, written out of my deep love for the Greek Islands. I began it in 2004 and it was published by Threekookaburras at the end of 2014, so it was ten years in the oven. There is a literary connection between this work, Joyce’s Ulysses and the Odyssey. In fact my aim was to rework Ulysses, pulling him out of Dublin and bringing him back to Greece. Alas, I’m still waiting for literature teachers and scholars to uncover all the literary gems wrapped up in this opus. Perhaps I veiled them too secretly. What you will find is a tale of searching. An intense desire to find the elusive thing, that which we feel in our nost- -algias, but are hardly sure why or what it is. The poetic relationship to reality that all travellers and all ship-wrecked exiles must suffer.